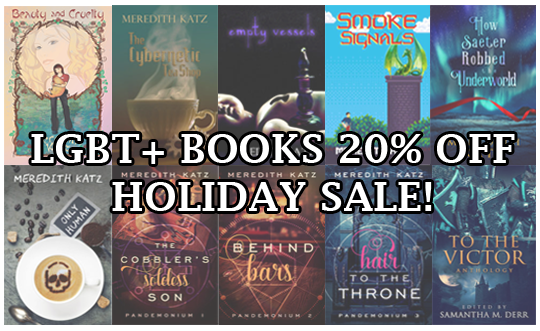 My publisher Less Than Three Press is having a holiday sale through the month of December, with 20% off all books (print or e-book), along with a raffle to win fantastic prizes and additional $0.99 sales throughout the month! LT3 does entirely lgbt+ romance stories of all genres, so there’s some great reads to find in their book market. Check out their post about their sale over here! And of course, much much more! Please check it out this holiday season. And, as always, you can learn more about my books right over here!